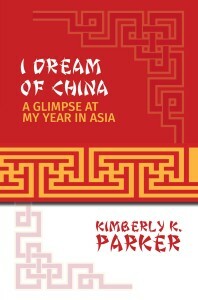 In 2014, Author Kimberly K. Parker embarked upon a life-altering experience when she moved to China to teach English. I Dream of China: A Glimpse at My Year in Asia carefully chronicles her encounters with people rich in culture, tradition, and values. Through both the pages of her journal as well as candid interviews, this trailblazer shares her amazing experiences and discoveries. Travel with her and read about a Chinese teacher’s views on the American education system, a group of student’s thoughts about the Ferguson events, and a very successful African American entrepreneur who made history in Zhenjiang! Kimberly K. Parker is an everyday woman who dared to live her dream! She enjoys being of service to others and sitting at the feet of wise people, both young and old. As an International Educator and Speaker and Executive Director of the DeBraux Parker Foundation, Inc. she has been able to share her love of teaching in the US and China. During her year in China, Kimberly worked for an English Learning Center and advanced to Senior Teacher in just five months. Since 2005, Kimberly has written and published 13 books! Along the way, she has helped 29 people between the ages of six and 83 realize their dream of becoming published authors. Her latest work, I Dream of China: A Glimpse At My Year In Asia, chronicles her life-altering experiences of teaching English in China. Through both the pages of her journal as well as candid interviews, this trailblazer shares her amazing encounters with people rich in culture, traditions, and values. Kimberly loves the simplicity of life. Snacking on an over-sized bowl of homemade white popcorn and crocheting beautiful blankets easily puts a smile on her face! Add a little classical music to the mix and she’ll endlessly smile from ear to ear. Kimberly resides in the beautiful state of Maryland with her husband, children, and father. These are the people she loves serving the most.